Add beautiful typography, shapes, apply stunning filters and photo effects, textures, borders, patterns, and more to your photos and share them to your favorite social networks! 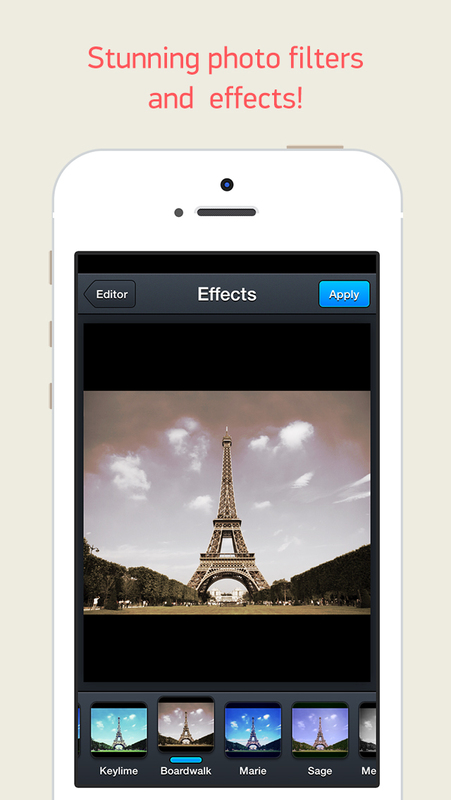 The app was designed with you in mind: making as best, easy and fun for you is our obsession! We want to see what you can do! 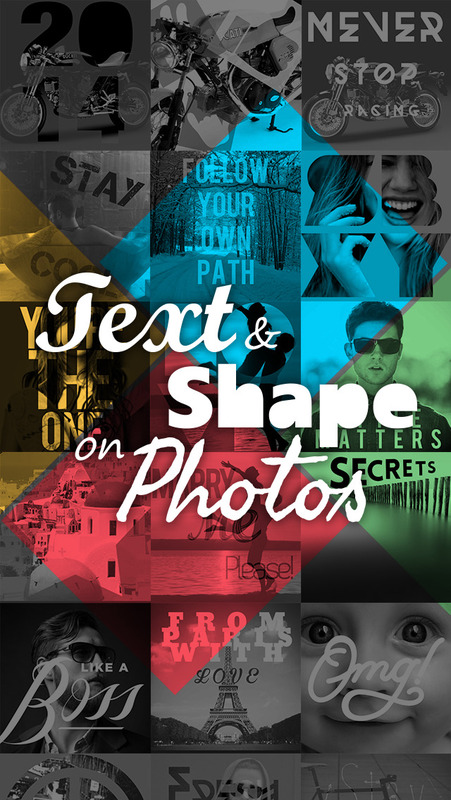 the hash-tap #textandshapesonphotos to show the world your creativity!